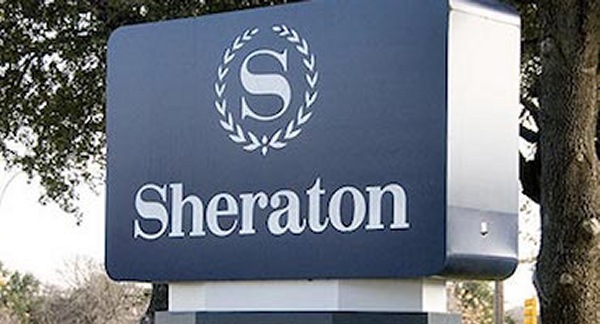 Marriott International has unveiled a plan to revamp the Sheraton Hotels and Resorts brand, which has been struggling for years to earn high marks among consumers. Marriott acquired Sheraton when it purchased Starwood Hotels and Resorts in 2016. With 444 hotels in 72 countries, Sheraton is the third largest of Marriott’s 30 brands by room count. It is the largest brand outside of the USA, also by room count. Sheraton was created 81 years ago. The brand makes up 42 percent of the portfolio of hotels that Marriott acquired from Starwood. “From the moment we closed the Starwood merger in late 2016, the revitalization of Sheraton has been a top priority for our company,” said Arne Sorenson, CEO of Marriott International in a written statement. Already, 25 percent of the owners of Sheraton hotels have committed to spending about $500 million on renovations of hotels across the USA. 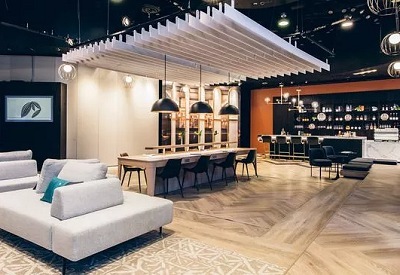 Marriott showcased its plans for changes to Sheraton’s common areas at a pop-up at the NYU International Hospitality Industry Investment Conference in New York. Lobbies will now have a town square feel to them. There will be more comfortable seating and communal tables. The tables will have lockable drawers for guests to store their devices when they have to take bathroom or other breaks. Privacy booths will be available for guests to make phone calls. Guests will also be able to rent “collaboration suites,” small partially-enclosed meeting areas. And they will be able to reserve them through Marriott’s mobile app. A “coffee bar bar” will serve coffee by day and alcoholic beverages and more by night. Guestrooms will also be revamped with desks that can be lowered or raised for sitting or standing. Tina Edmundson, global brand officer for Marriott, says she and her team traveled to every continent to study Sheratons and figure out what was working and what was not working. “Guest satisfaction, especially in the U.S., was not where it should be,” she says. For one thing, he says, Starwood was not aggressive enough in de-flagging subpar hotels. “We know the hotels that have to leave the system,” he says. Those Sheraton hotel owners who do not want to make the required changes are welcome to rebrand to another Marriott brand or completely leave the company, Edmundson says.